If you use WordPress for your blog or website, you can now easily insert Google Photos images and the new VCP Events Plugin lets you easily embed YouTube live streams + Google+ comments on your site. Google is making video calling from the Phone, Contacts, and Messages apps easier on Android phones. If your carrier supports ViLTE (e.g. T-Mobile), no app is required, otherwise you will need to install Google Duo. 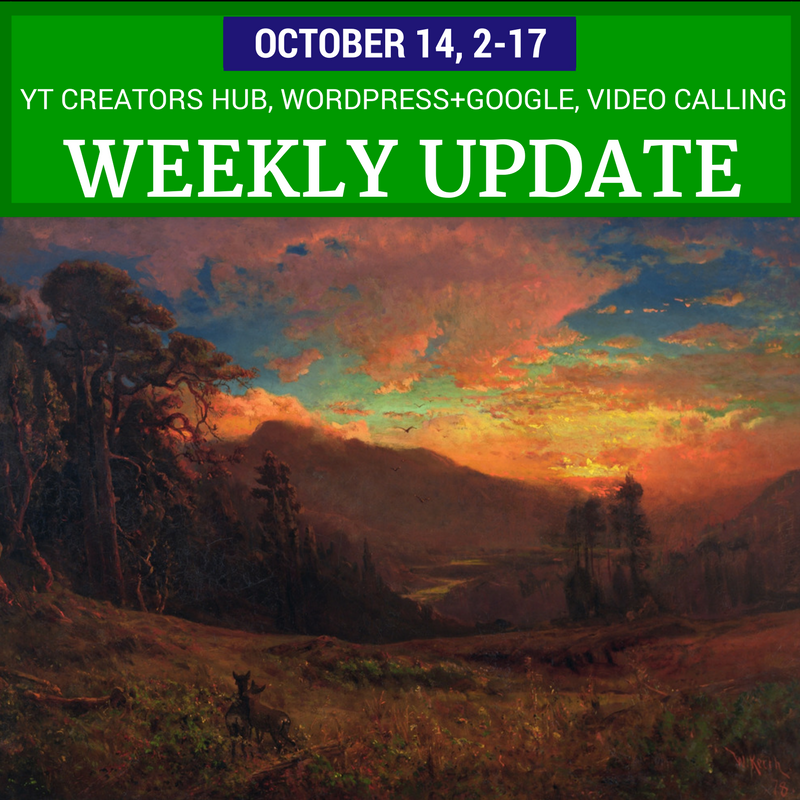 There are also tips and updates for YouTube, Google+, webmasters, bloggers, business owners, movie watchers and much more. I hate that every week there has been a new crisis or disaster. But here we are. The fires in Sonoma and Napa Counties in California is almost Silicon Valley’s backyard, so it’s good to see tech companies stepping up.